I must admit that I have been waiting for this day for some time now. The day when I can give you American readers a photo of a naitive «skottbenk» from USA. A few days ago I got a tip from one of my followers on Instagram, @iasjmobler, about a picture of an interesting workbench posted by @benchcrafted. One of our followers from USA, Jason Thigpen, where the first to comment that this bench is a skottbenk. Benchcrafted is a maker of workbenches and hardware and Jason are owner of Texas Heritage woodworks, the official maker of the shop aprons with the logo of Norsk Skottbenk Union. There are a few pictures on Instagram that are tagged as Skottbenk. I am conviced that this is an old Skottbenk that where used in Amana. The bench are very similar to several Norwegian benches we have seen on this blog before. 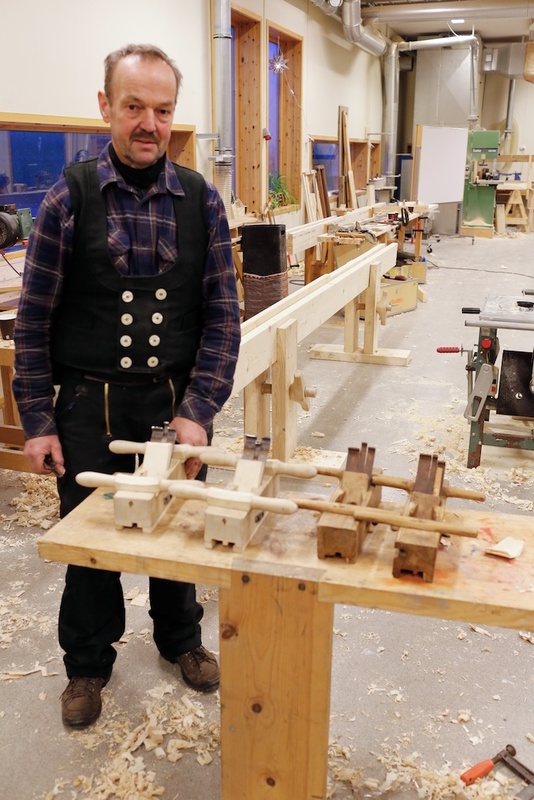 The pattern of the long boards and the vices are similar to the one that Lars Velsand have made, to the bench from Bredalslien and the bench from Bortistu Storlidalen. It is not very different from the Danish bench that Lost Art Press have blogged about. 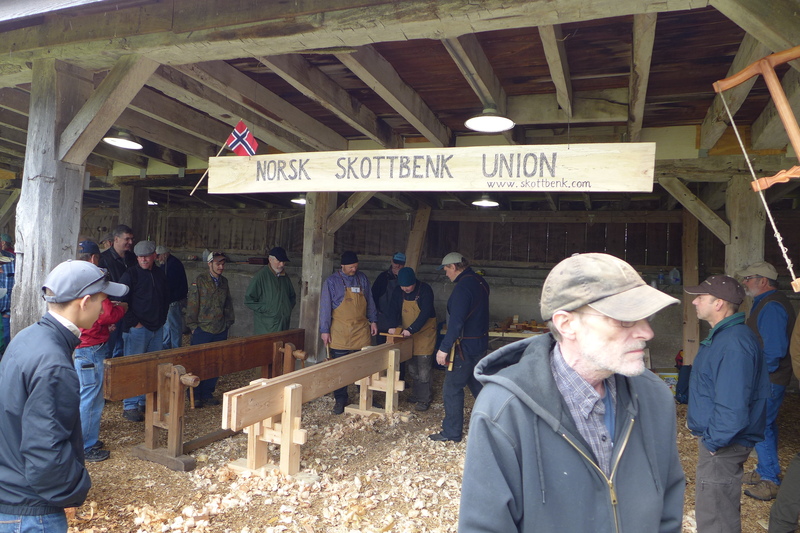 The bench could easily fit in the Norwegian tradition, but could also be related to the Danish or the German tradition. Amana is an old colony of seven villages in Iowa County. The villages were built and settled by German Pietists, who were persecuted in their homeland by the German state government and the Lutheran Church. They moved to Iowa in 1856 and lived a communal life til mid-1930s. For eighty years, the Amana Colony maintained an almost completely self-sufficient local economy, importing very little from the industrializing American economy. The Amanians were able to achieve this independence and lifestyle by adhering to the specialized crafting and farming occupations that they had brought with them from Europe. Craftsmen passed their skills and techniques on from one generation to the next. They used hand, horse, wind, and water power, and made their own furniture, clothes, and other goods. In this setting the Skottbenk have made it possible to joint long boards with handtools in an efficent way. There could be more interesting stuff in this area? 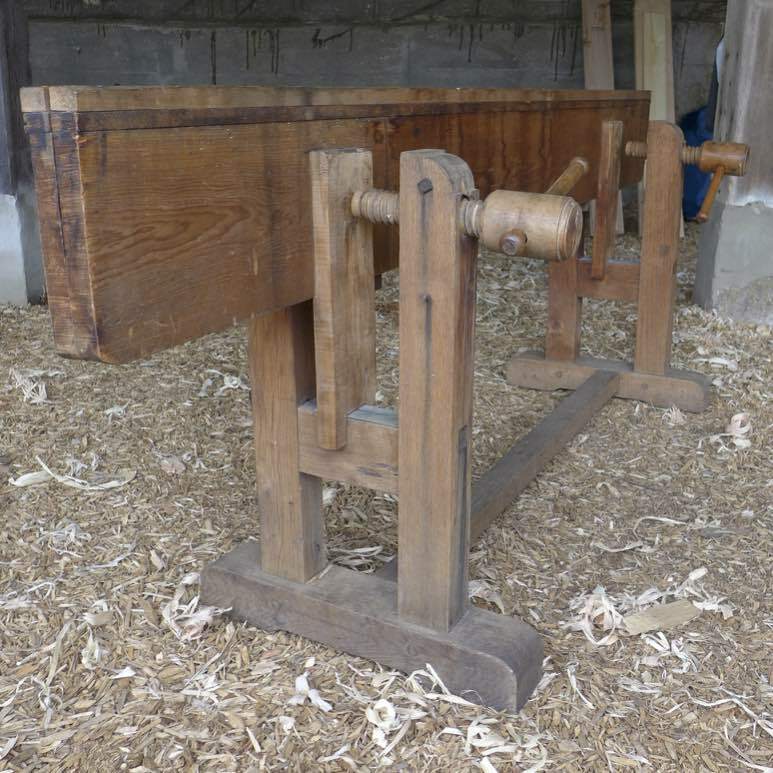 Some of our followers from USA might go there and search for old handplanes that could be connected to use on this bench? I would also like to get some more pictures and also som measurments of this American skottbenk. I would be very happy to get some more information about this bench, and even other similar benches in USA or other parts of the world. In case you have missed it, we have posted in English before about how to use this kind of benches. In that post we also have some information about how to make your own Skottbenk. There is also a web adress to a Google SketchUp drawing of a skottbenk from Målselv made by James Groover. I have also posted (in Norwegian) about some American patents of some specialized types of Skottbenk. 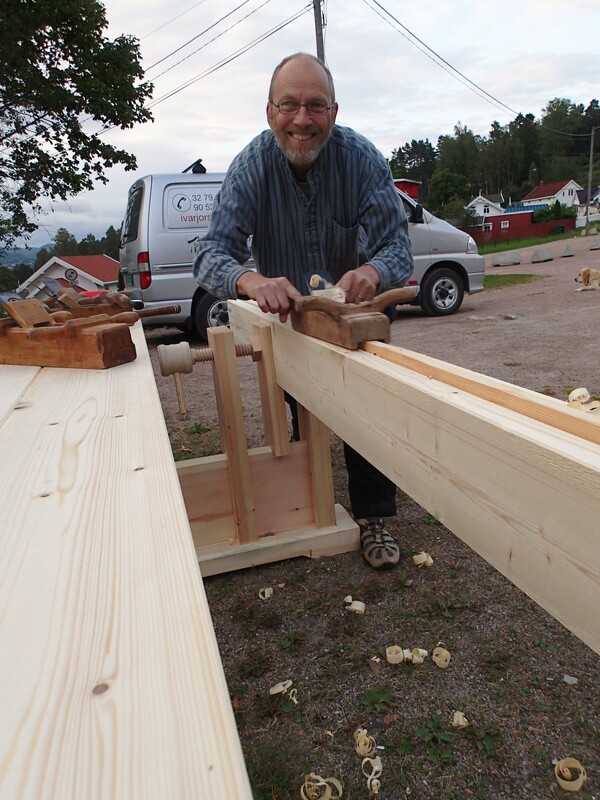 When I started this blog I wanted to get some focus on a type of workbench that where almost forgotten in Norway. 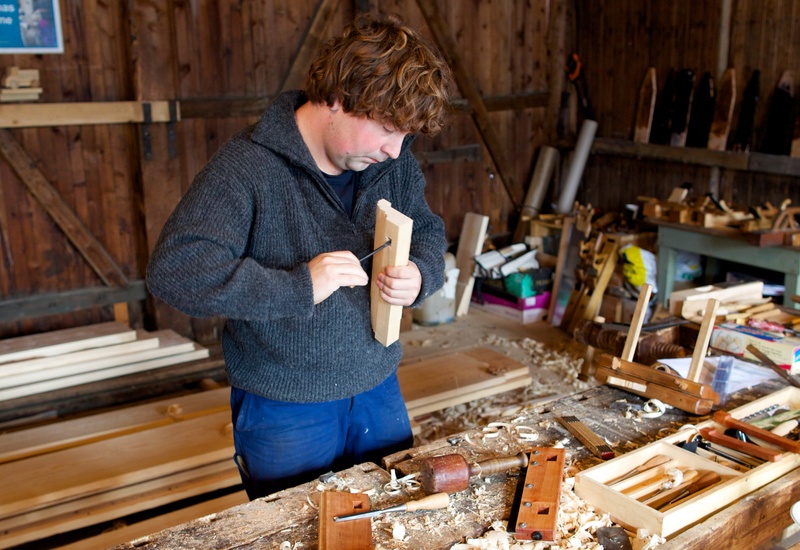 I wanted to engage other craftsmen in Norway to search for old workbenches and to make their own and start to use them. 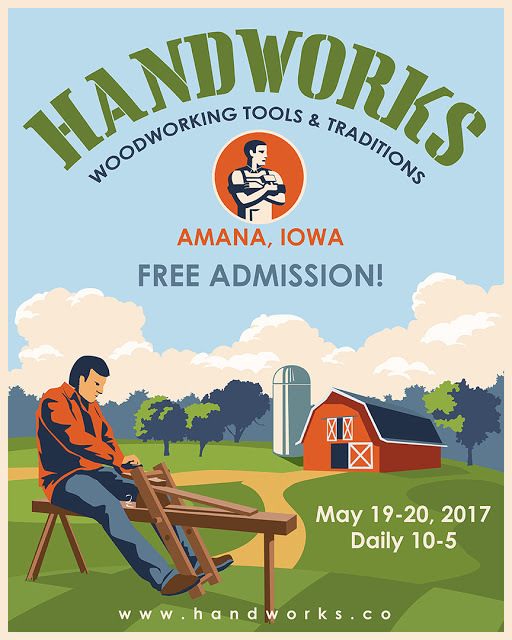 I did not believe that this would gain interest among woodworkers in other parts of the world. About a year ago Dennis Laney wrote a post about the skottbenk on his blog: If you don’t know your hyvelbenk from a skottbenk – you should. It is not easy to explain the use of the bench and to translate Norwegian terms to English. 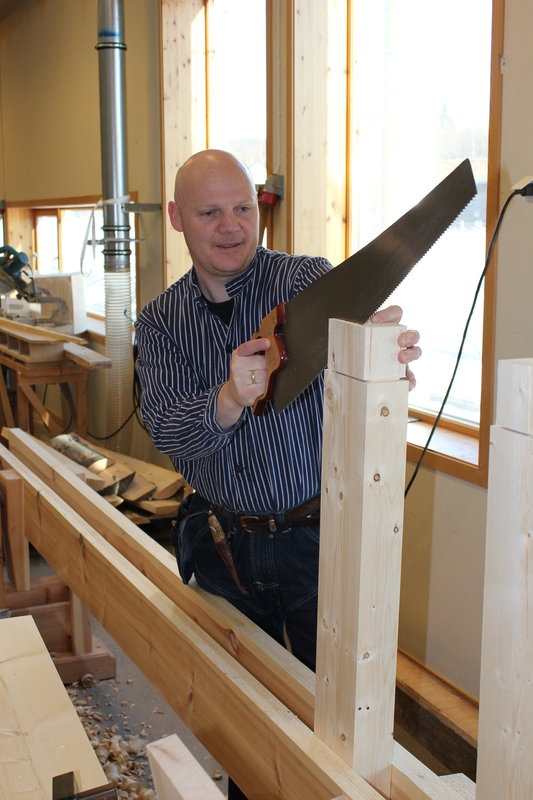 Dennis wrote a new entry on his blog to explain how this skottbenk works: Skottbenk equals sticking board – Big sticking board. He has also made a later post: Murphy’s law, spring joints and skottbenks. I have made a small Youtube video to show how I use the skottbenk to make floor boards with tongue and groove. It has some Norwegian text to explain the details but you will get the idea. I have also made a post in Norwegian that explains how to use and maintain the skottbenk. 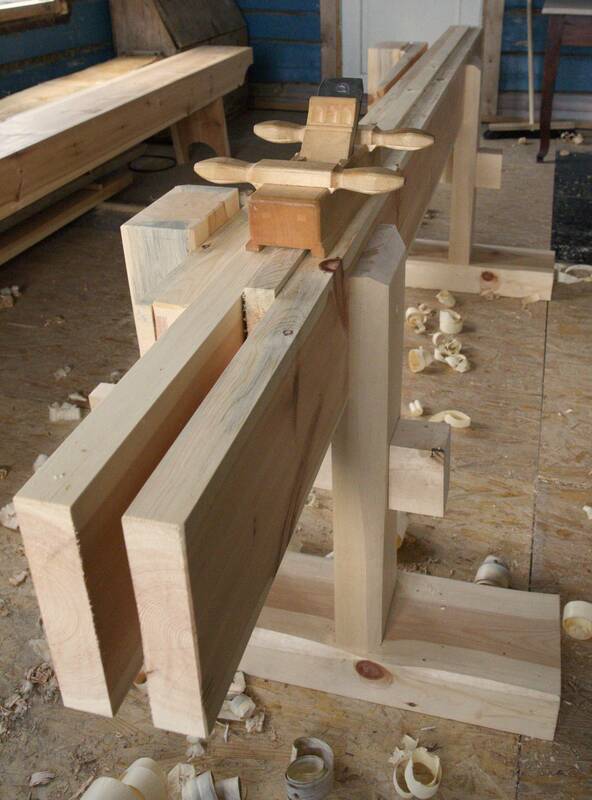 I have also an earlier entry in English on the blog: Jointing bench or shooting bench as English translation of skottbenk? 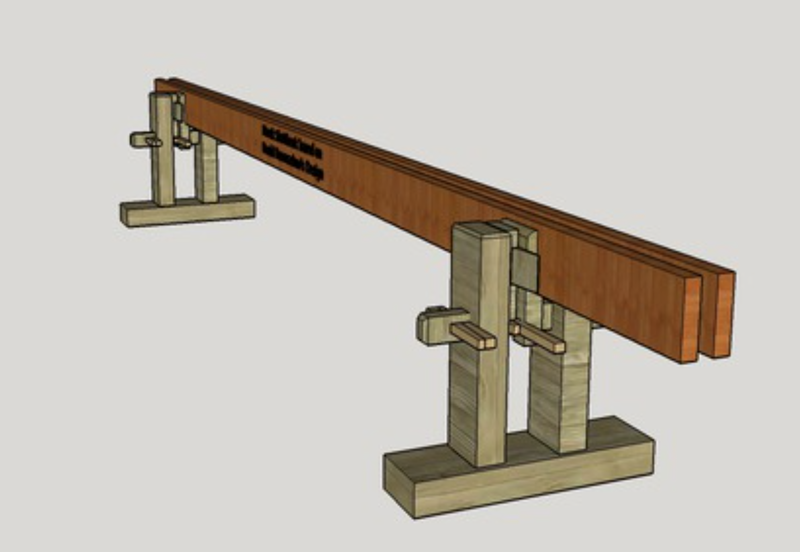 Some weeks ago I got an e-mail from James Groover, an American that where interested in the skottbenk and wanted to make a 3D model of one in Google SketchUp to help people to make their own skottbenk. We have been working on this model for some time and had some problems with the conversion from metric to inches and even from the Norwegian «tomme», a slightly longer inch. After some e-mails to solve theese problems, James has come up with a 3D model of a skottbenk. That might be the first in history? The model are based on the skottbenk I use in the YouTube video, that again are based on an original from Kverndal in Målselv. James has made his 3D model available for you all from 3D warehouse. You can download the file and use Google SketchUp to wiev the model in 3D. Screenshot of the 3D model of the Skottbenk made by James Groover. I do hope that this will help you to make your own skottbenk even if you cant read Norwegian. There should be possible to find similar workbenches as the skottbenk in other parts of the world. 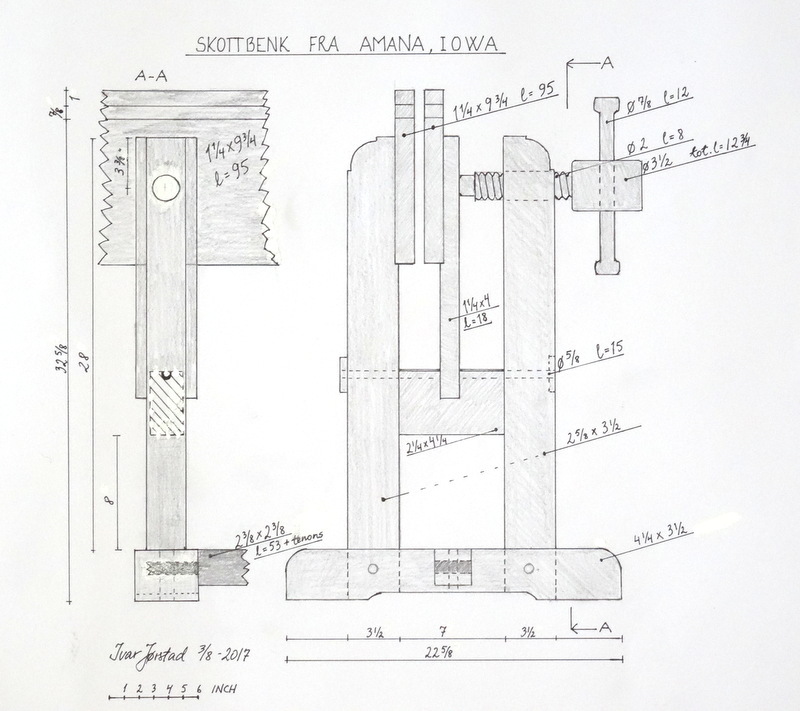 Leonardo da Vinci did make a drawing of a skottbenk and I have found several American patents on workbenches that works like a skottbenk. That would indicate that it should be possible to discover a skottbenk outside of Norway. Thank you Dennis and James to help me to introduce the skottbenk in your part of the world.